Full front two-way zip opening with branded metal zippers and a stand up collar. Long sleeves with ribbed cuffs and the signature Adidas Three Stripes are featured along each sleeve in white. Two zip entry pockets on the waist and a ribbed waistband. 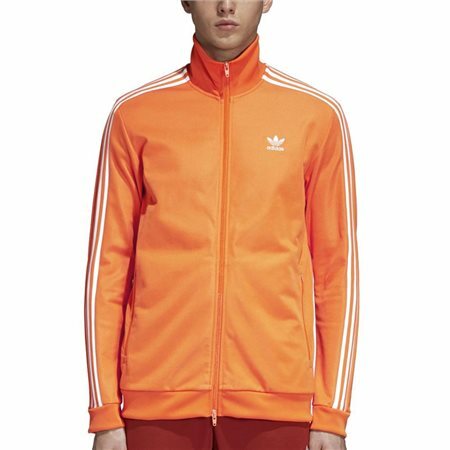 The signature Adidas Trefoil logo is embroidered on the left of the chest in white.